Finally, the weather is cooperating and I’m in full swing for fall decorating over here. You guys know we just moved this summer and living in a smaller town has its plus and minuses. For instance, there are not a ton of stores in our little town…that’s a minus when I’m looking for new decorating ideas. The BIG plus is this small town has a massive JOANN store that is basically on my street. It could get dangerous! 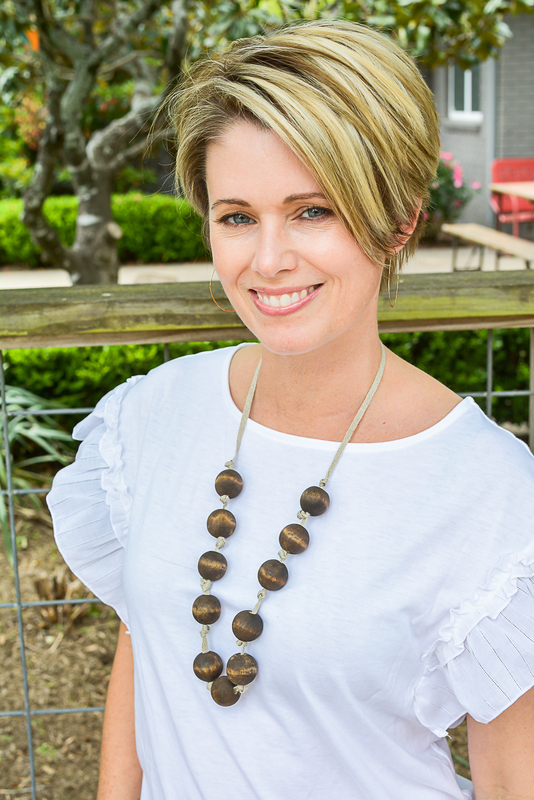 This post was sponsored by JOANN and contains affiliate links, see my full disclosure here. 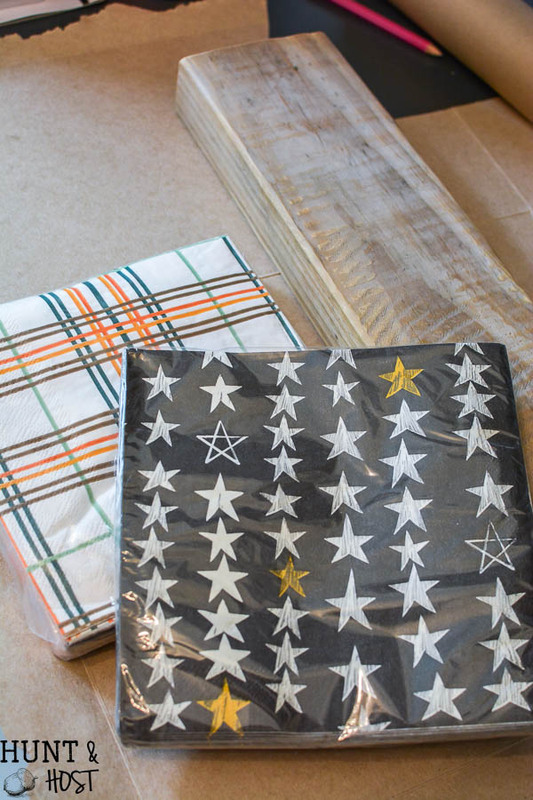 I love to get new project supplies, ideas, and home decor at JOANN and this fall I’m so excited to be working with them on a few projects. 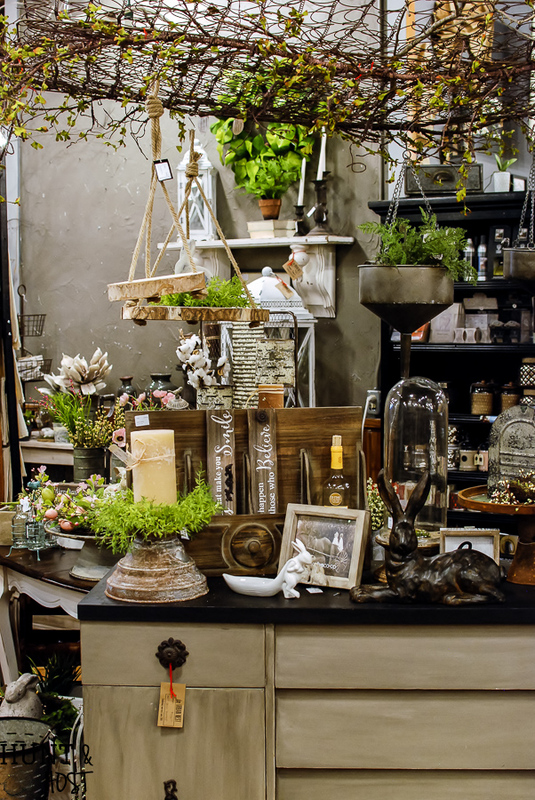 (hello bucket list opp – I love this store!!!) Are Y’all ready to see the first project? You are going to adore this idea because it’s so simple, anyone can do it and it makes you look super crafty even if you’re not! I’m in love with the gold, brown and metallic hues that are all over this fall. When I was shopping at JOANN I seriously wanted everything, but when I saw these cute paper napkins in my current favorite fall colors I knew exactly what to do with them. Of course, they would be great on your fall table, but I had another idea. 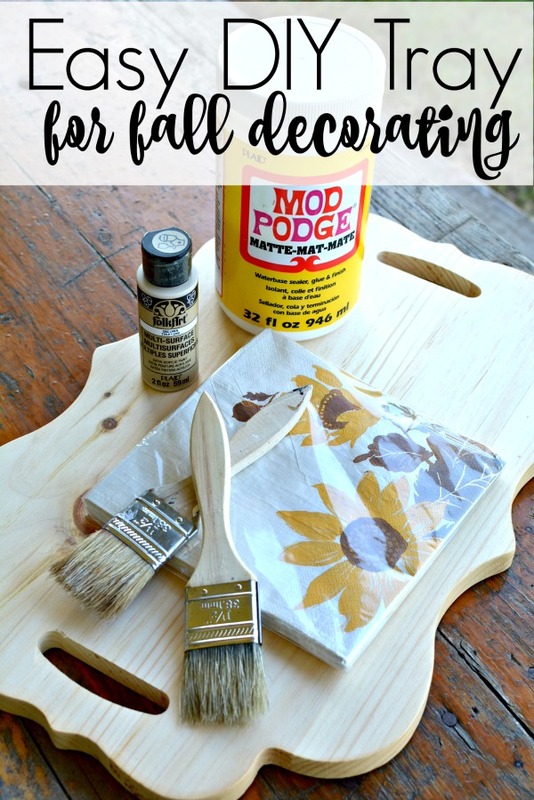 I scooped up some acrylic craft paint that matched the base color of the napkins and a precious scalloped wood tray that is a blank slate for creativity. 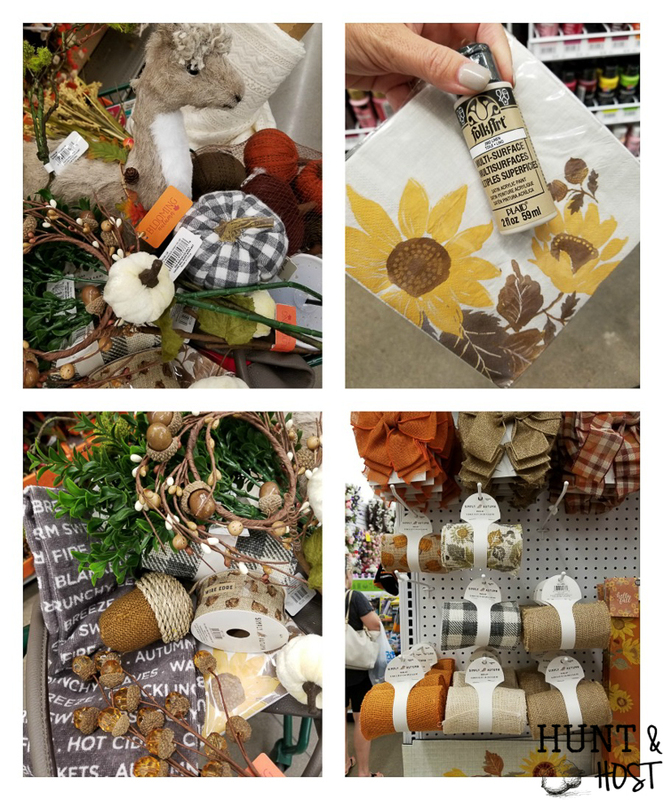 (BTW – there is a supply list at the bottom in case you aren’t as lucky as me with a JOANN down the street 😉 ) A ton of other fun things to decorate with for fall somehow managed to jump in my basket. 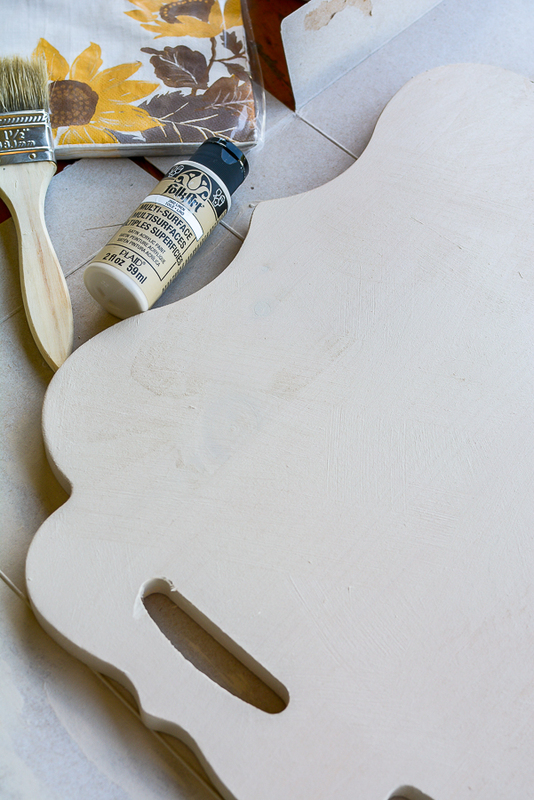 I started my easy DIY tray by painting it all over with the acrylic craft paint using a sponge brush. For the best coverage use two coats. Then came the fall napkins I scored. 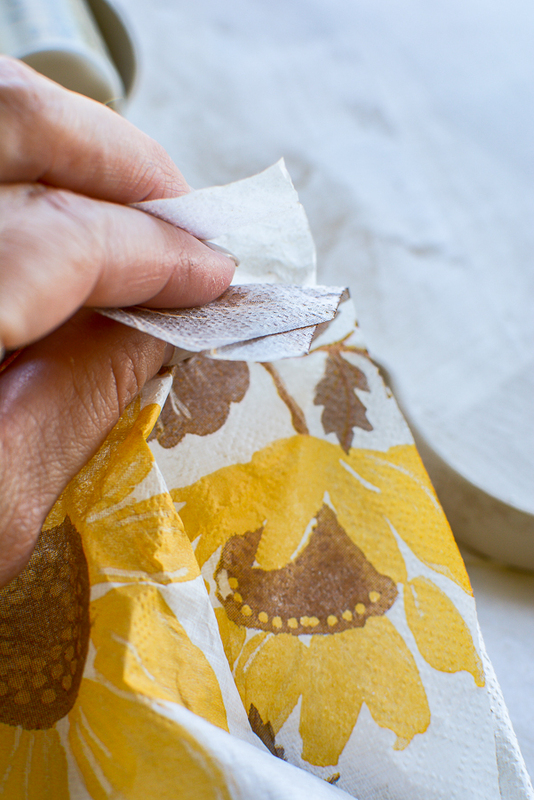 Paper napkins are typically two or three-ply, for this project you want to separate your napkin until you have just the top layer with the design on it. Next, I ripped the flower pattern away from the whole napkin. I wanted a random edge, not a straight cut line. For this particular design application I think it blends better this way. 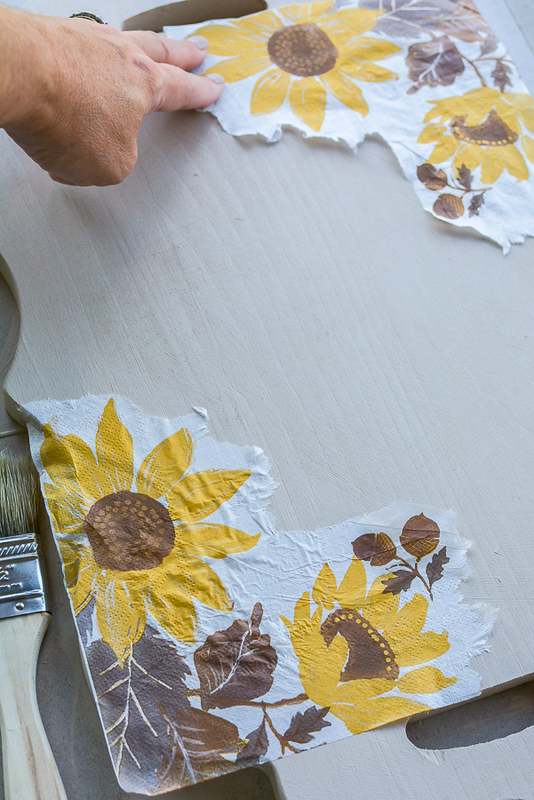 I painted the corner edge of my scalloped tray with Mod Podge and gently placed the flower napkin to frame the edge and fall slightly over the sides. I went over the top of the napkin with more Mod Podge. With my finger I smoothed the napkin and feathered out the excess glue. Once it dries the napkin really just blends into the painted surface. 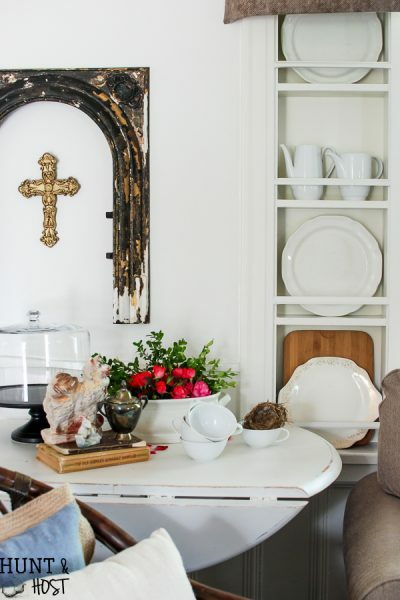 I did the exact same thing on the opposite corner for a fall frame on this sweet tray! 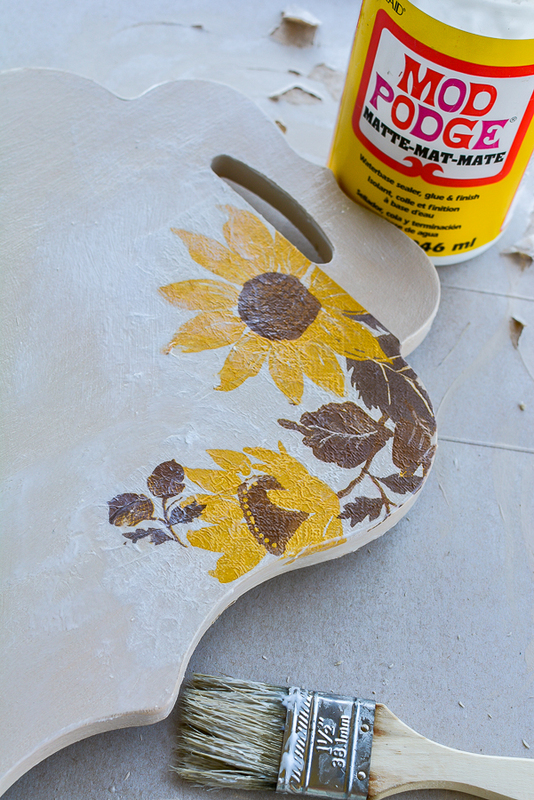 So easy and it looks like you painted those gorgeous flowers directly on the try. No one has to know your secret! I used a vintage silver bucket from my stash to make a woodsy floral arrangement for fall. 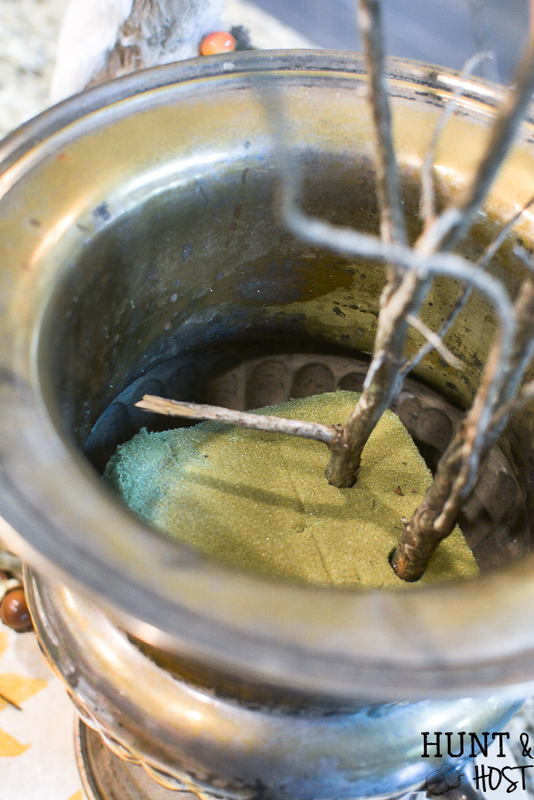 To make the arrangement I started with a small block of greenery foam and some branches from the yard. They are great for dramatic height and a rustic fall feel (plus they are FREE!). I stuck them in the foam and then added two stems of boxwood I got at JOANN. I’m super particular about my faux greenery items, they have to look real for me to use and these fit the bill. Next, I mixed in some mossy branches (also a JOANN find). I am totally using these in the spring too. I love them. They had a ton of floral pics to choose from, these are a great way to add a little interest to your arrangement, I got some velvet pumpkins and crystal acorns for the win! 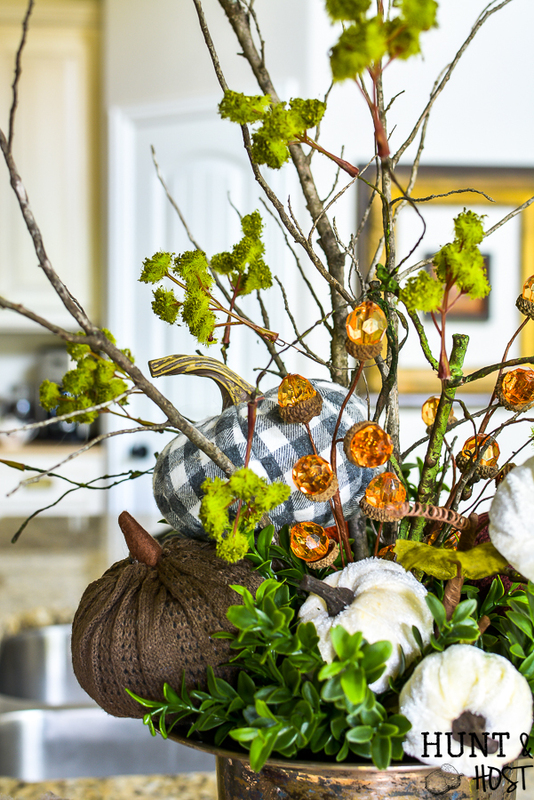 Tuck in a few sweater pumpkins and a pop of buffalo check and you have the cutest fall arrangement ever! I love making my own vignettes like this because you can re-use all the elements for other holidays or in a different way next year. 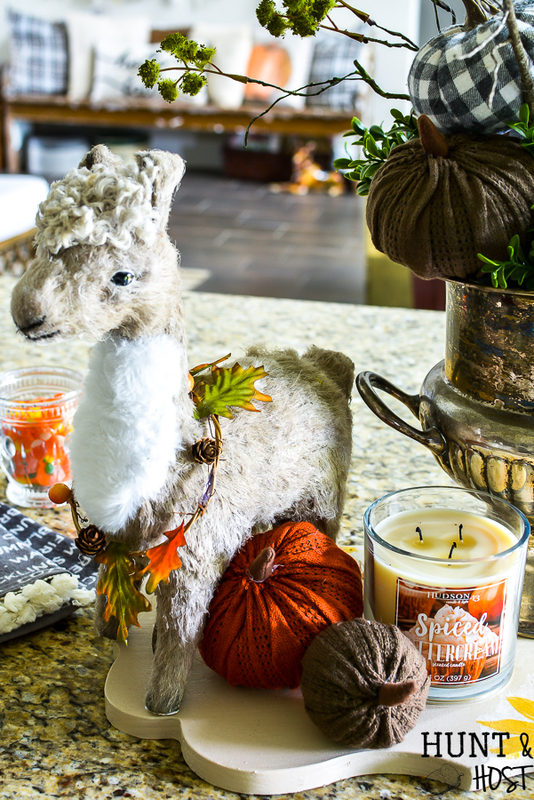 To complete this fall vignette I couldn’t help but grab this woodland Llama to decorate with. My daughter is currently obsessed with all things Llama so I knew she would love it! 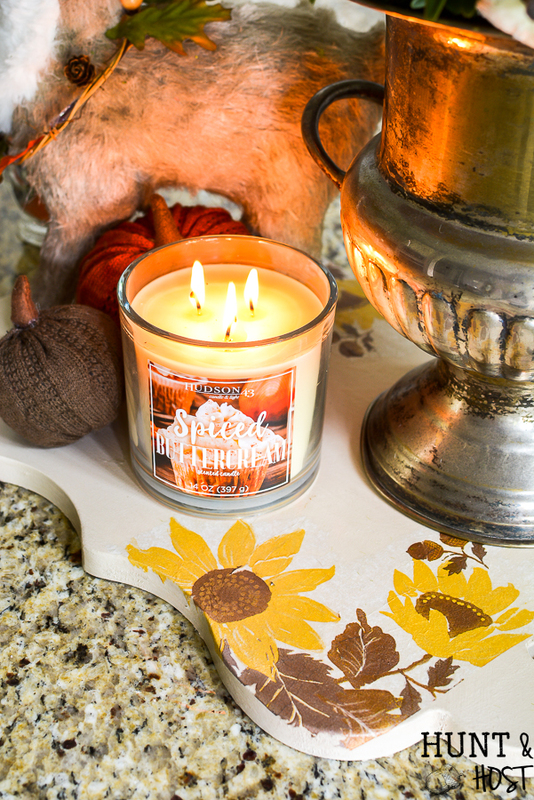 Topped off with a yummy candle and my kitchen countertop is ready to welcome in some hot chocolate and a cozy fire. 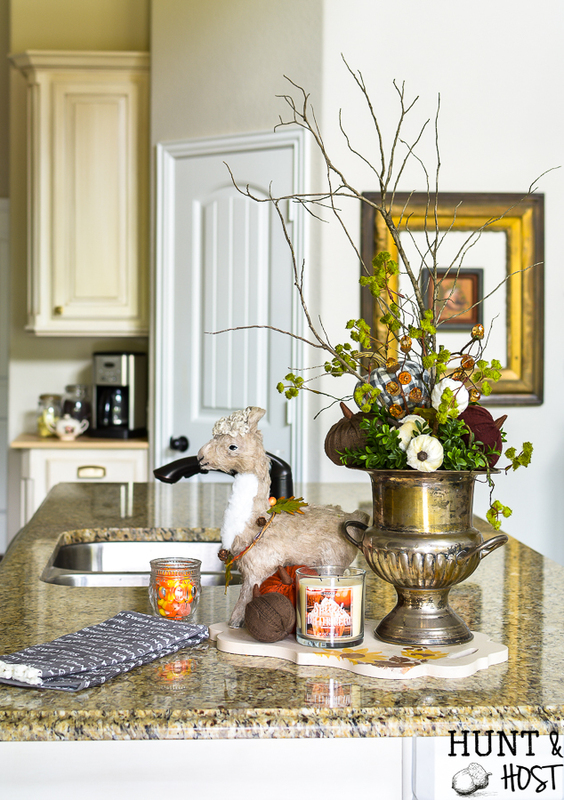 Honestly, this fall decorating idea didn’t take long to put together and it really transforms the feel of our kitchen. And I only had to go to one store to get all the goods, like I said…it could be dangerous being this close to JOANN. lol! Here is a complete supply list so you can hurry up and get your fall decorating going. Have fun friends! 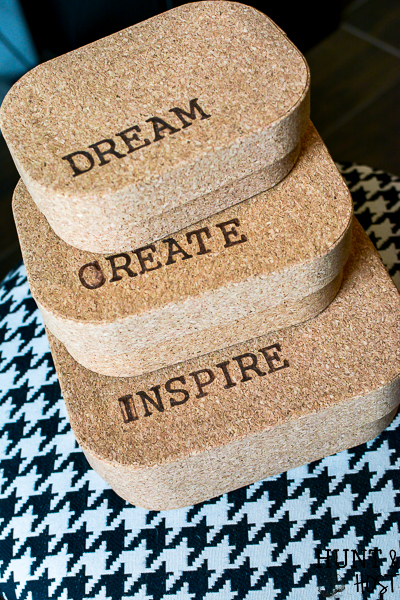 What a great tray project! I love the way it turned out. I hope you are doing well! thanks – it is such a quick project, we are doing great over here, I appreciate it! There you go again! Making something out of nothing!! These ideas are delightful and I am hoping I can do something similar. I’m not sure how my husband will feel when I bring out my old silverware that is very much tarnished. He’s always cleaning it!! Thanks so much! yes, they have soooo many cute things! That arrangement looks wonderful. Thanks! Where did you find the acorn jewels? thank you – got all of it at JOANN!!! 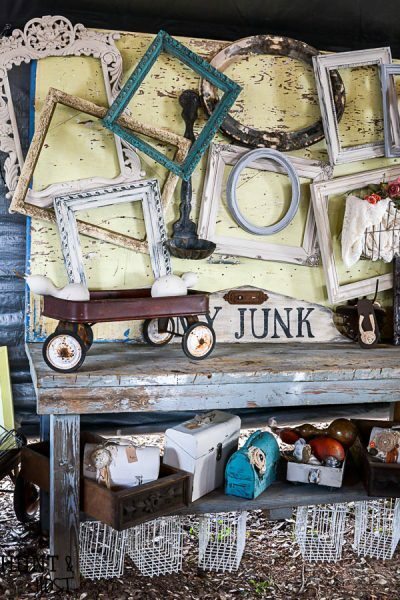 tons of cute stuff for fall! Love the arrangement and all your other great ideas!